The following paper was written for a mandatory freshman year college class and was selected as one of the two best in the section. This was rather surprising at the time, given that the professor had spent an entire semester having me heavily revise it, continually telling me that he was not “hearing” my voice in the work. I. American Ingenuity in Leaving New York. Success Factors and Washington’s Plan. American Vulnerability at the Hudson River. Theories on the Ease of American Escape. II. The Battle of the Fleets. British Mistake Concerning Naval Rules. IV. The Folly of Cornwallis’ Fireships. V. Early Maneuvers in the Battle of Yorktown. V. Pulling Back the Troops. VII. No Escape to New York and Surrender. Most Americans take great pride in thinking that our forefathers defeated the British in the American Revolution by beating them in battle both mentally and physically. In many respects this is true, but numerous scholar’s analysis of the events surrounding the defeat of the British at the last battle, The Battle of Yorktown, focus on the mistakes made by the British. Within these mistakes, ingenuity on the American’s part sometimes surfaces. And while these moments of American ingenuity played a role, ultimately the defeat of the British did come about because of their own mistakes. It is in the events leading up to the actual battle where we see most of the instances of American ingenuity. This ingenuity is mostly of a military nature, as it allows the Americans to further their own battle plans through the use of psychological trickery. Much of this trickery came from the mind of George Washington, who looked to Yorktown, Virginia as an ideal place to stage a final decisive battle to a war in which the Americans had been steadily gaining ground. The high ranking British General Earl Cornwallis had been occupying Yorktown for several months when Washington began to put together his attack strategy. The linchpin in this strategy was a French fleet due to arrive under the command of Francois de Grasse and set to land in Virginia. Given that there was little means of communications at the time, Washington’s plan could have turned into a disaster as the two sides tried to coordinate a meeting. However, the ingenuity of much of his plan rested on its risk. The fleet could be used to blockade Chesapeake Bay, thereby preventing the British from using their naval support to help their forces at Yorktown. At the same time, Washington planned to advance his troops by land toward the then cornered British troops. He saw this as an opportunity for a great number of British troops to be forced into surrender and realized that with the French he had the resources available to accomplish this strategy. Scholar Barbara Tuchman believes that taking this risk was a “bold” decision on Washington’s part (245). And a necessary decision it was, considering the American’s needed more land troops and especially needed to add naval power (which they lacked) that could match the British fleet, thereby allowing for success in the final phases of the plan. In order to get his men to Virginia for the rendezvous with the French, the American army would have to travel five hundred miles from their camp in New York to the site in Virginia (Tuchman 246). With the French still at sea, no word would come from them until their arrival and for this reason, as the men departed from New York for Virginia there was great uncertainty among them (Jackson 409). Adding to this uncertainty was the withholding of the ship’s destination point, which was kept secret from many of the American leaders on land and even some of the French. Although this caused some confusion among the troops, the scope of its planning showed it to be ingenious. According to war historian Christopher Ward this plan “…was definitely as wise as it was necessary” (883). The American Commanders knew that if word got out to the British on the destination point of the Fleet, the British could ambush them. By keeping their own men in the dark, the possibility of a traitor giving out the location was eliminated. The most vulnerable point of the American’s march toward their rendezvous came as they had to cross the Hudson River, while exiting New York. This crossing was so vulnerable, because the American troops would be practically defenseless as they were ferried across the river, packed into small boats (Tuchman 247). At the time of the crossing, Sir Henry Clinton, the Commander of the British forces, was in Long Island and was not in New York City at the British Headquarters, where he had left a subordinate in command (Tuchman 252). This subordinate ignored intelligence information that reported the Americans crossing the Hudson, allowing them passage without incident. The subordinate’s overlooking of such crucial information points to the theory that British commanders may have been losing their fighting spirit. Historians who support this theory think that at its root was a general loss of interest in Britain for the war (Tuchman 253). It is completely understandable that this theory was one of the reasons for this incident having occurred. However, this theory has its problems and Stephen Conway has noted that the war was “…a golden opportunity to obtain rapid professional advancement” (276). With this in mind, it seems very unlikely that troop discontent was at the heart of the British Mistakes, as officers would have wanted to make a name for themselves and move up in the ranks. American trickery probably played a larger role in this instance. It was right before the river crossing that Washington engaged in his planned psychological trickery. In accordance with his plan, Washington had spread rumors that the Americans intended to gather at Staten Island for an assault on the British Headquarters (Ward 882). He had even gone so far as to have boats tied to points along the lower portion of the Hudson River to draw attention away from the upper portion where the crossing actually took place (Dupuy 439). Washington’s trick worked beautifully as the British fell for the idea that their home base was to soon be under attack, leading them to ignore the crossing at the distant upper Hudson area. The deception continued as Washington divided his army into three groups, each taking a different path out of New York (Hatch 10). As the Americans marched into Pennsylvania, the British were in complete confusion as to what they were really planning to do (Hatch 10). The American’s ingenious plan concerning New York played to British fears for their base’s self-preservation, leaving them too concerned to see through the American Deception. Along these lines, Barbara Tuchman believes that the British Headquarter “…was so relieved to see the enemy moving away from New York that it had no wish to interfere with their passage” (253). The British figured that the troops leaving, merely meant that there would be less men available to attack them. Washington had used fear to create a diversion, leaving the British to prepare for a battle that was never coming. Even if the troops had low moral, they never were given the opportunity to show it in battle, as they had been thoroughly tricked by American ingenuity. In pulling off their trick, the Americans were well on their way to meeting the French. Washington’s plan was in full motion, with one of its riskiest parts successfully over. The next step was to finally meet with the French fleet. The events surrounding the arrival of the French fleet hold a huge place in naval history. It was this battle that would end the long British dominance of the sea. And it was also this battle that would be the start of a series of British mistakes that would lead to downfall through their own hands and not through the earlier American ingenuity. As the Americans approached the pre-planned rendezvous point on land, they could hear the sounds of the French fleet in intense battle with the slightly smaller British fleet (Tuchman 260). Out on a patrolling mission, the Commander of the British Fleet, Admiral Thomas Graves, had been completely surprised when he found the French fleet in Virginia (Dupuy 441). Likewise, the French, who had just finished unloading their troops, were also surprised by the British arrival. However, this particular incident was not really a mistake in poor planning on either side, but rather a strange coincidence. The mistakes would come in the circumstances following this coincidence. Since the French were cornered in the bay, Graves seemed to have a sizable advantage even though he was slightly outnumbered. However, his beings over-firm in commanding is what set up Graves’ first mistake. As the French tried to maneuver out of Chesapeake Bay, they not only had the wind against them, but they were also traveling in a straight line, leaving them in a position to be fired upon one by one as they left the bay (Dupuy 441). But instead of immediately taking advantage of the vulnerable French position, Graves instead chose to follow proper British Naval code, forming a line of battle with the French (Tuchman 261). The following of this code and what R. Ernest and Trevor N. Dupuy call “…haste and confusion on Graves’ part” (440), virtually destroyed the British superiority by giving the French time to prepare for battle and plan a strategy for attack. This mistake was a turning point of the battle as it allowed the French to be on equal (or maybe even superior) terms with the British as the battle began. Having lost their tactical edge, the British would have to rely on their firepower to win the battle. This reliance on firepower would contribute to the domino effect of British mistakes as Graves started the battle with another bad decision. He posted a flag on his ship that ordered the other ships to begin fighting, but forgot to take down the flag on his personal mast (which overruled the main flag) and informed the ships to hold their positioning. Of course, the British commanders followed the flag on Graves’ mast and continued with original orders that called for only the lead ships of the attacking force to fire (Tuchman 261). This almost comedic mix-up allowed the French ships, with their larger guns to deliver great damage to a British fleet that was offering little return fire because of the flag mistake. After fighting into the night, the two fleets gradually moved to the south where they each tried to make repairs (Ward 885). The British knew that their ships were too badly damaged to continue the fight and Consequently, two days later, on the night of September 9-10, 1781, they retreated for New York (Dupuy 442). This action left the French Fleet in a position blockading Yorktown from the ocean and any naval support. The outcome of this battle would later be seen as the main turning point of the end of the war. The British forces relied heavily on their dominance of the sea to win wars and it had now been virtually stripped from them. Barbara Tuchman states that this loss was “… the enabling factor for the rebel’s Yorktown campaign” (260). In all of its ingenuity, Washington’s plan for attack could not have progressed without the British first making their many mistakes in the sea battle. And since they had, the plan for preventing the British Fleet from helping Yorktown’s defense was complete. Without having to show great skill in battle, the larger French fleet was almost able to merely sit back and watch as the British defeated themselves with mistakes that seem almost unheard of to modern day people. More mistakes would occur next as Earl Cornwallis now realized that he was without sea support for Yorktown and on September 22, 1781 tried a last-ditch effort to reclaim his sea access. In the Yorktown harbor, Cornwallis had what were known as “Fireships”. These ships were used to drop huge flaming tarred sticks into the water. The general idea was that these sticks, as they floated around in the water, would collide with the enemy vessels, thus setting these vessels on fire (Tuchman 270). Cornwallis hoped that such a strategy would work on the French fleet. In his mind, he believed that such a plan would force the French (once they started on fire) to cut the cables connecting the ships of the blockade, prompting them to sail away in retreat (Tuchman 270). Yet when the fireships approached the French, they were immediately fired upon. The chaos of the situation led to the released fire actually starting the British ships ablaze and forcing them to retreat. The entire British effort resulted in the loss of four of their own ships (Tuchman 270). In theory, Cornwallis’ plan may have worked if his situation had not been so desperate and had he had more ships. But with only a small number of ships at his disposal, his neglecting the huge amount of French firepower opposing him was a mistake that he could not afford. This error in judgment further complicated Cornwallis’ situation by making him even more powerless and vulnerable than before by leaving him even fewer ships in Yorktown Harbor. With the French securely in control of Chesapeake Bay it was time for the second part of Washington’s plan to begin: The land troops had to assemble and begin their assault on Yorktown. By September 22, 1781, the forces of both France and America had assembled together at Williamsburg, Virginia and on September 28, 1781, the American troops moved out of Williamsburg and headed for Yorktown (Hatch 16). The total force consisted of 8,845 Americans and 7,800 French while the British were at a disadvantage defending Yorktown with only 6,000 troops (Ward 887). This number was low because Cornwallis had originally conquered Yorktown with only its good harbor and seaport in mind. Although it may have been a mistake not to have more men on hand, War Scholar Joseph B. Mitchell contends that Cornwallis “…never envisioned the possibility of having to defend against a siege from the landward side” (199). The mistake in this instance was not really lack of troops, but rather Cornwallis not already having considerable naval power in the harbor, in which case the French blockade wouldn’t have mattered. On September 29, 1781 an instance of American ingenuity again appeared as the American and French forces each formed two troop lines in a plan to encircle the British who were at the outer perimeter of Yorktown. However, this tactic proved unnecessary, as when the Americans awoke on September 30th, they found that Cornwallis had pulled his troops back from the outer positions (Matloft 97). This decision to pull back his troops may have been Cornwallis’ biggest mistake of the entire battle. Mitchell best states Cornwallis’ error: “This was a mistake, any army undergoing a siege should play for time in the hope of obtaining relief. He (Cornwallis) should have know that delays inevitably occur in war” (200). The reasoning for this mistake was Cornwallis’ overestimating the readiness of his own commander at the British Headquarters in New York, General Henry Clinton. In the days leading up to the battle, Cornwallis wrote a letter to Clinton in which he directly requests “immediate reinforcements” (Carrington 632). Clinton promptly responded that the fleet was being readied and that it would arrive in only a few days (Carrington 633). Having faith in the sincerity of the letter, Cornwallis pulled his troops back in the belief that reinforcements were indeed coming (Mitchell 200). In reality, numerous dates were set for the departure of the British fleet and none of them were ever kept (Tuchman 279). It is possible that this lack of urgency on Clinton’s part may have come through his lack of knowledge on the situation. In his letters, Cornwallis used the phrase “the worst” to describe possible defeat or surrender if reinforcements weren’t sent. However, Clinton misunderstood this phrase to mean merely retreat (Tuchman 275). This failure in communications meant that Clinton was no hurry to send reinforcements. With the British abandoning several fortifications in their retreat, the Americans quickly incorporated them into their first siege line (Hatch 23). The construction started on October 6th and continued all night into October 7th with the Americans under British gunfire the entire time (Ward 889). The Allies returned fire on October 9th when the French opened fire first. Then the Americans joined the battle with George Washington firing the first shot (Mitchell 202). The French and American’s Superior firepower allowed them to inflict great damage on the British and thus begin to plan a second siege line. However, in order for this to occur, the last of the British redoubts (forts), numbers nine and ten, had to be overtaken (Hatch 25). In order to accomplish this, this last infantry assault of the war was launched on October 14, 1781 (Mitchell 202). In what should have been a bloody struggle, the outcome was incredibly short. The Americans took Redoubt number ten and accomplished their mission in ten minutes, while the French took redoubt number nine and finished in less than thirty minutes (Mitchell 203). At this point, low moral was clearly visible. This is illustrated with the fact that the British commander of Redoubt number nine surrendered with thirty of his men shortly after firing began (Tuchman 282). Cornwallis too knew that things had hit a low point, writing a letter to Clinton on the October 15th that said that the situation was so bad that the British fleet shouldn’t even be risked in trying to save him (Reese 135). With The Redoubts taken, the Americans finished construction on their second siege line. The British tried to mount a strike at dawn on October 16th when they sent 350 troops to the second siege line (Dupuy 448). The British were able to disable seven of the American and French artillery, but were then driven back by the French (Ward 893). The seven damaged guns then were easily repaired (Mitchell 204). Cornwallis’ final mistake of the battle came later in the same day when he tried to escape to New York shortly before midnight by crossing the York River(Hatch 27). While some troops did get across, they had to be recalled when a storm came up and prevented more troops from crossing (Mitchell 204). The final statistics on the number of people killed in the Revolutionary War’s final battle show that it was not very bloody. The American had only twenty soldiers killed, while the French lost fifty-two (Mitchell 205). The British losses were higher with one hundred and fifty six killed. One can conclude that the lack of fierce fighting came as a result of the British loss in moral caused by the continuous mistakes of the last several weeks of the war. Things that were overlooked early on, such as Clinton not believing rumors in mid-August that a French fleet was even coming to America, came back to haunt the British in unimaginable ways (Pechham 171). The overlooking of the French would lead to a loss of British troop optomism about the war when they witnessed their mighty British Navy crippled into retreat (Tuchman 275). And while it is still correct to hold great respect for those who fought in the Revolutionary War, my personal perspective on the war has changed somewhat with the writing of this paper. It is fascinating how British mistakes could play such a large role in our country gaining its independence. However, at the same time it makes one realize and appreciate how fine of line that the Americans walked between victory and defeat. Bowler, R. A. “Sir Henry Clinton and Army Profiteering: A Neglected Aspect of the Clinton-Cornwallis Controversy.” The William and Mary Quarterly. Volume XXXI: Number 1. January, 1974: 111-122. Carrington, Henry B. Battles of the American Revolution; Battle Maps and Charts of the American Revolution. New York: The New York Times and Arno Press, 1968. Conway, Stephen. “British Army Officers and the American War for Independence.” The William and Mary Quarterly Volume XLI: Number 2. April, 1984: 265-276. Dupuy, Colonel R. Ernest, and Colonel Trevor N. Dupuy. The Compact History of the Revolutionary War. New York: Hawthorn Books, Inc., 1963. Hatch, Charles E. Jr. Yorktown and the Siege of 1781. Washington DC: National Park Service, 1957. Jackson, Donald, ed. The Dairies of George Washington. Charlottesville: The University Press of Virginia, 1978. Kurtz, Stephen G., and Hutson, James H., eds. Essays on the American Revolution. New York: W. W. Norton and Company, Inc., 1973. Marloft, Maurice, ed. American Military History. Washington DC: Office of the Chief of Military History United States Army, 1969. Mitchell, Joseph B. Decisive Battles of the American Revolution. New York: G. P. Putnam’s Sons, 1962. Peckham, Howard H. The War for Independence. Chicago: The University of Chicago Press, 1958. Reese, George H., ed. The Cornwallis Papers. Charlottesville: The University Press of Virginia, 1970. 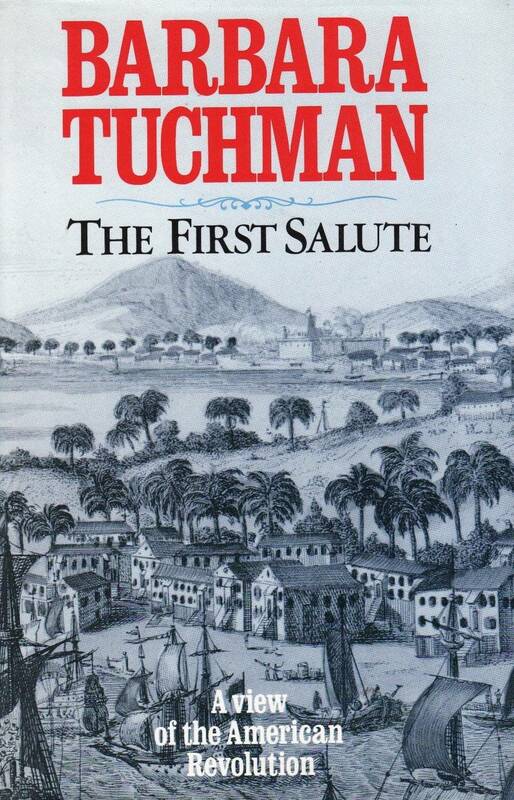 Tuchman, Barbara W. The First Salute. New York: Ballentine Books, 1988. Ward, Christopher. The War of the Revolution. Ed. John Richard Alden. New York: The MacMillian Company, 1952. Ewald, Johann. Diary of the American War. New Haven and London: Yale University Press, 1979. Diary of the American War detail the experiences of Captain Johann Ewald, a German Naval Commander who was among many German hired to fight for the British in the Revolutionary War. Of particular interest is the Section that details the sea battle at the Yorktown campaign. The Cornwallis Papers is entirely a reprinting of many of Lord Earl Cornwallis’ letters, both private and public. Of particular interest to the study of the Battle of Yorktown are letters to various officers and the to George Washington regarding British Surrender. This book is actually a combination of two books published in 1877. The approach taken focuses strictly on the battles themselves and illustrate the text with the accompanying maps. The text provides precise details on the interactions between the major officers of each army. Fleming, Thomas J. Beat the Last Drum. New York: St. Martin’s Press, 1963. Beat the Last Drum is a book whose focus revolves around solely the Siege at Yorktown. The time leading up to the battle and aftermath of the battle is discussed. However, the focus is on the unfolding of the battle itself, researched and portrayed in great detail. Hatch, Charles E. Jr. Yorktown and the Siege of 1781. Wahington D.C.: National Park Service, 1957. Yorktown and the Siege of 1781 is a publication made by the government in the mid-1950s and is much like a tourist book. It contains a somewhat detailed description of the battle and has many pictures of the battle sites. This is a collection of eight essays on the American Revolution that display many different points of view, from the causes of the war to its violence. Of particular interest is the essay entitled “The Military Conflict Considered as a Revolutionary War.” This essay in particular discusses some of the factors that contributed to the British defeat at Yorktown. Marloft, Maurice, ed. American Military History. Washington D.C.: Office of the Chief of Military History United States Army, 1969. American Military History provides an entire history of all United States military involvement. There is a large section on the Revolutionary War which gives the Army’s perspective on the war. Decisive Battles of the American Revolution is basically a history of the war written by a military officer (Mitchell was a Lt. Col.). The book offers a good general history of the war as a whole, with each chapter devoted to an individual battle. The first Salute gives an account of the Revolutionary War, not only focusing on the events, but also of the involvement of both France and Holland. The Battle of Yorktown is especially highlighted, with a lengthy segment. Also, the book pays considerable attention to George Washington. Beerman, Eric. “The Last Battle of the American Revolution: Yorktown. No, The Bahamas!” The Americas. July, 1988: 79-95. This article discusses a unique idea that the last battle of the Revolutionary War was not at Yorktown, but took place six months later in the Bahamas, ending with the signing of the Treaty of Versailles. Hogan, J. Michael and Williams, L. Glen. “Defining ‘The Enemy’ in Revolutionary War America: From the Rhetoric of Protest to the Rhetoric of War.” The Southern Communication Journal. Summer 1996: 277-288. This article discusses the how the rhetoric of the Revolutionary Period became harsher as the Revolution progressed. The opinions in the article shed light onto the tension that increased rapidly as the War progressed.